It’s graduation season. Have a groomsman, friend or family member who just finished school or landed a new job or promotion? Mark the impressive achievement by sending him one of these creative graduation gift ideas. This is no ordinary pen. Perfect for baseball fans, this executive pen displays authentic game-used dirt from the playing field of your choice of MLB team, along with the team logo and colors prominently featured on the side. The pen top doubles as a stylus for phones or tablets. (Includes MLB hologram and certificate of authenticity.) Get it for $29.95. Excellent for kicking his style up a notch for important meetings or interviews, this personalized pocket square set includes three 100 percent cotton pocket squares (one solid, one plaid and one gingham) that double as handkerchiefs. Each pocket square features the recipient’s embroidered initials. Sets are available in three color choices and come in a gift box. Get it for $39.95. Funny and to the point. 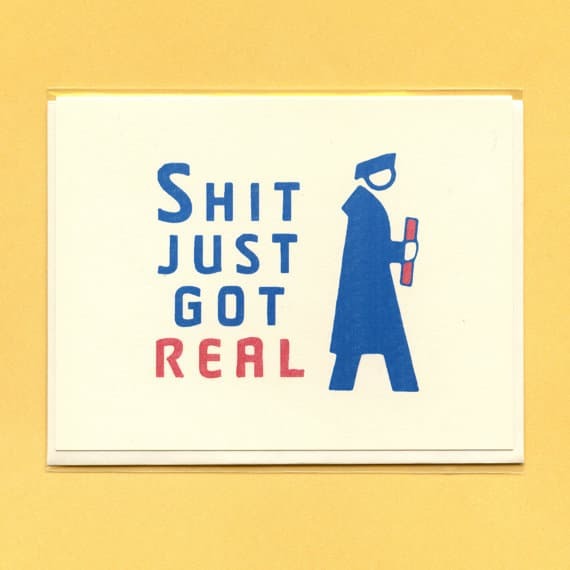 This handmade card features the perfect sentiment to give any recent grad a chuckle. Blank on the inside, the card is professionally laser-printed and machine-scored, cut and folded. Get it for $4.25. 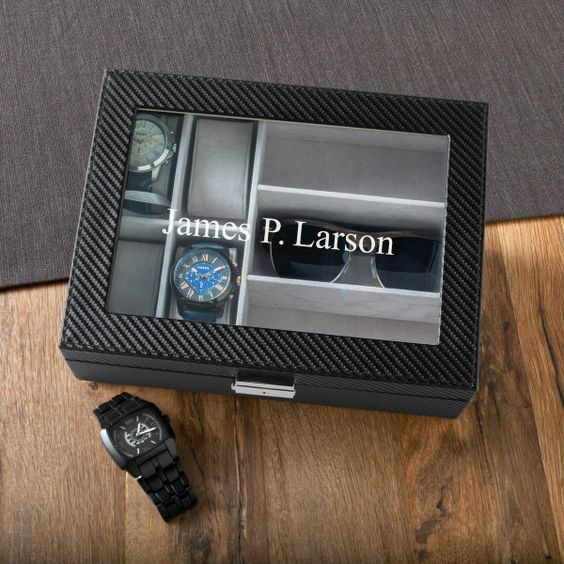 Help streamline his morning routine and ensure he’ll never spend time searching the house for his accessories with this personalized watch and sunglasses organizer. This handsome leather-wrapped, hard-sided case safely stores and protects four watches and three pairs of sunglasses. Include a name or custom message on the glass lid for no extra cost. Get it for $57.95. Perfect for work meetings and business trips, important presentations will always be at the ready with this personalized flash drive keychain. The sterling silver-plated flash drive features 2GB of storage space and is engraved with the initials of the recipient at no additional cost. Get it for $49.95. A perfect keepsake gift idea, this correspondence-inspired time capsule lets you postmark your memory and read it years later. 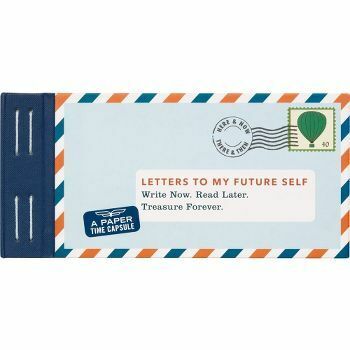 Perfect for capturing your thoughts and dreams at the end of college or goals you hope to achieve as you start your career, each of the set’s 12 fold-and-mail letters has a prompt to encourage self-reflection. Seal with one of the postdated stickers. Get it for $14.95. 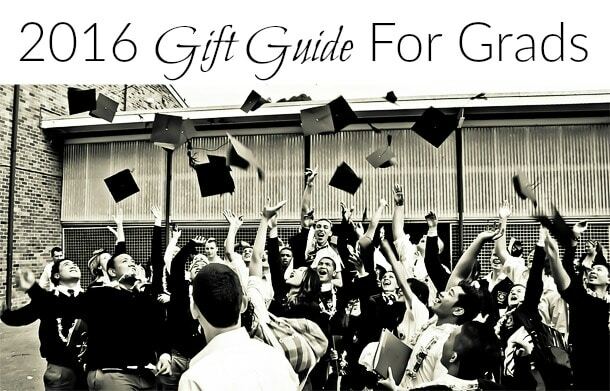 Which of these gifts would be perfect for your grads this year?